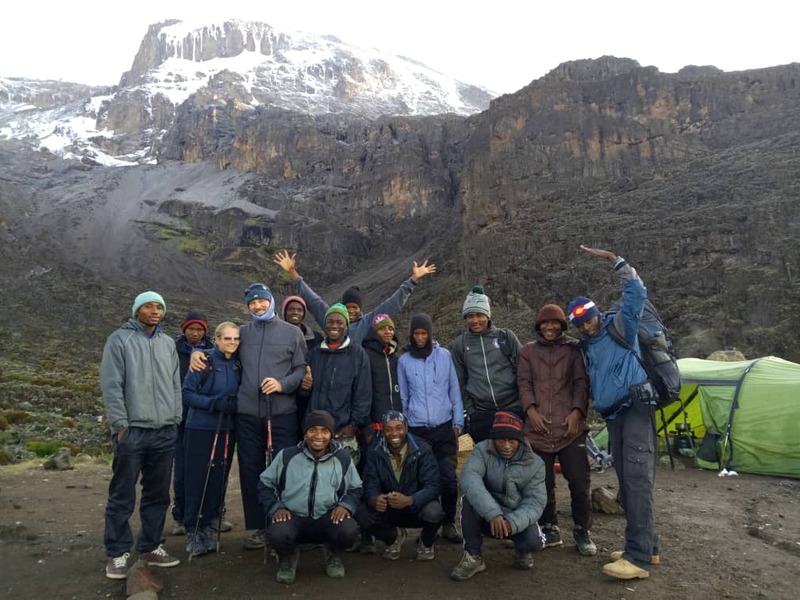 Our Kilimanjaro climb costs cover virtually everything needful within Tanzania, on private climb basis, from arrival at the airport to departure again (see full details below). 7 Rongai Advantage - all climbers use our unique variant on Rongai. Far superior acclimatisation to standard Rongai. 8 Lemosho Advantage - all climbers use our unique northern route for great acclimatisation and freedom from crowds. 10 Lemosho Excel - moves to Kibo's north. Plenty of acclimatisation excursions and rest days, and spends a night in the crater. 7 Machame Advantage - a good route in the wet / low season. Crowded at other times of year. 6 Machame Advantage - only for the young and fit and those known to adapt well to altitude. 8 Lemosho Excel - northern route with a night in the crater. Excellent acclimatisation. While these routes are very popular with Team Kilimanjaro trekkers, with the exception of Machame - which is always crowded except in the rainy season - they remain very quiet and free of crowds, with the lack of crowding being one of the most significant criteria that draw so many of our clients to these routes. To find an exact price for your proposed trek, please type your length, route and series into the search box below. Example: "6 Rongai Advantage". If you've only decided on a route or a support series, you can narrow down your search by filtering. Examples: "Rongai" or "Excel". With six routes (excluding the many unique variants we run), five different support series, and around five different durations for each option, there are some 150 prices to choose from! If you don't want to opt for one of our popular choices above you'll definitely find what you want in the following table. Use the filter to make it easier to find what you need. These prices are applicable both to private and pre-scheduled climbs, however, solo climbers joining our available scheduled climb dates pay the 2-climbers group price. With our founder first climbing the mountain as a pauper on a shoestring in 1 day, for less than fifty dollars, in March 2000, we have long aspired to cater to a wide range of budgets, fitness levels, and adventurer "ideologies"! With this in mind we have created 5 different series, ranging from Superlite for the absolute minimalist who wants zero support at low cost, to the opposite extreme: Hemingway - first pioneered by our founders when they took their entire family (including their 5, 7 and 9 year olds, with special permission) to Kilimanjaro's summit in 2012 - with elevated camp beds, ensuite toilets and bathroom area, with warm water for bathing, food packages prepared by a Michelin-trained chef, and all in very spacious 2-metre high tents. This is our usual option. High level of support with plenty of fresh fruits, vegetables and meat. Mess tents will be used and three course hot lunches will be served most days. This strategy is designed to maximise nutrition by encouraging rest and appetite in an environment where this usually suffers. Tried and tested this method has proved extremely successful. This is a very exciting series that spends the night with a small lightweight support team in the crater at 5729m after summitting Kilimanjaro. The following morning we launch excursions to a number of fascinating and rarely seen features within the crater from the Reusch Ash Pit at the crater's centre, to the rapidly retreating edges of the northern and eastern ice fields, where health and strength permit. This is a truly unique opportunity. A very lightweight, traditional alpinist style, with similar support and provision levels - yet of superior standard and specification - to local budget operations. However, you’ll be required to carry around 12 kg and will only be able to submit 5 kg to your porter. Some foods will be dehydrated and mess tents will not be used. Recommended only for very active and self-sufficient climbers such as regular participants in ultra-endurance events. Similar support and provision levels – yet of superior standard and specification – to local budget operations. A Superlite climb is an entirely self-supported, self-equipped, self-prepared climb, whereby climbers provide and carry all their own food and equipment. KINAPA-enforced regulations require that all climbs on Kilimanjaro be guided by a registered Kilimanjaro guide and therefore Superlite climbs are the closest one may legally come to an unsupported climb, with just the guide and obligatory assistant guides being provided by Team Kilimanjaro. We believe that this is the most highly supported, best equipped and comfortable experience available on Kilimanjaro. Full Hemingway Series prices are available here and range from $5,515 to $14,814 per person. 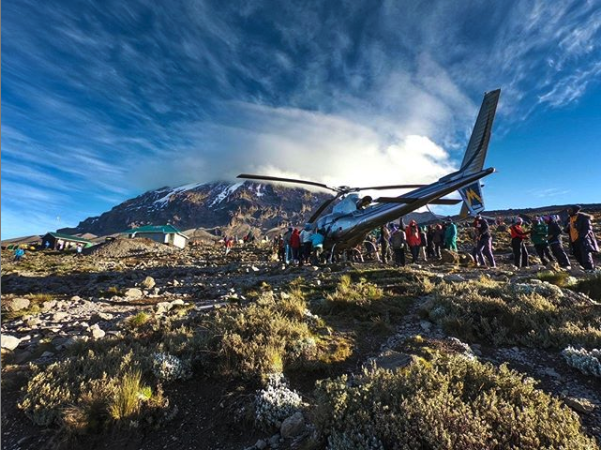 Summitted Kilimanjaro and don't want to spend a day and a half descending on foot? The Hemingway Series offers helicopter pick-up. This option is especially recommended for those wish demands on their time and wanting to preserve their knees and ankles from the arduous, repetitive impact associated with the long descent, and will descend you to Moshi Airport from where we will transfer you to Arusha by vehicle. 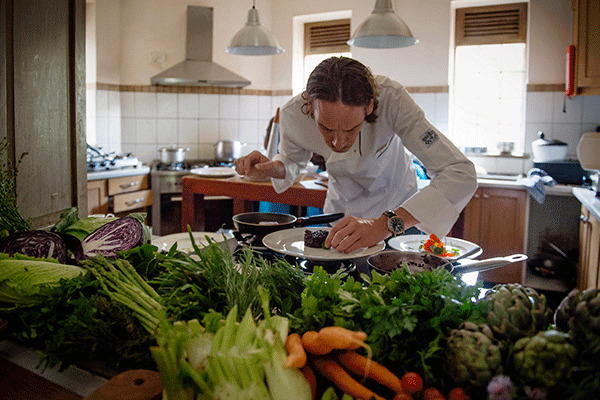 Want to know about tipping customs on Kili?